Join the next generation science conversation with our experts! Join us this fall as our top experts discuss the most relevant topics in science classrooms today! Head to Twitter during and after the webinars to join the conversation by using #HMHScience and @leadandlearn. There is perhaps no more important term in science education reform since the days of John Dewy as “inquiry.” Yet the term has been intentionally replaced in the Next Generation Science Standards* (NGSS) with the word “practice.” There are good reasons for the change, but they do not mean abandoning the style of science education that inquiry has come to stand for—far from it! This webinar will provide a brief history of inquiry in science education reform and explain how its meaning has been clarified in the NGSS to be more powerful than ever before. A few classroom activities will illustrate the value of distinguishing between scientific inquiry and engineering design to motivate student learning. When you join, please have a "clicker pen" ready. That is, a pen that you click once and it's ready to write, then click again and the cartridge will retract. While studying astrophysics at Harvard, Cary Sneider volunteered to teach in an Upward Bound program and discovered his real calling as a science teacher. After teaching middle and high school science in Maine, California, Costa Rica, and Micronesia, he settled for nearly three decades at Lawrence Hall of Science in Berkeley, California, where he developed skills in curriculum development and teacher education. Over his career Cary directed more than 20 federal, state, and foundation grant projects, and was a writing team leader for the Next Generation Science Standards. He has been instrumental in ensuring HMH Science Dimensions meets the high expectations of the NGSS and provides an effective three-dimensional learning experience for all students. Learn about the history of developing the Next Generation Science Standards as well as the resulting challenges and strategies for implementation. Michael DiSpezio has authored many HMH instructional programs for science and mathematics. He has also authored numerous trade books and multimedia programs and hosted dozens of studio and location broadcasts for organizations in the United States and worldwide. Most recently, he has been working with educators to provide strategies for implementing the Next Generation Science Standards, particularly the Science and Engineering Practices and Crosscutting Concepts, and the use of evidence notebooks. To all his projects, he brings his extensive background in science; his expertise in classroom teaching at the elementary, middle, and high school levels; and his deep experience in producing interactive and engaging instructional materials. Discover the deep and natural connections between language and science, and between English language arts and the Next Generation Science Standards. In this webinar, we’ll explore ways to make the most of these natural connections by integrating active reading and comprehension strategies into the flow of science learning as well as listening, speaking, and writing. We’ll also explore techniques for supporting English learners in processing science text. The webinar will feature practices, approaches, and strategies you’ll be able to use tomorrow morning. Participants: please have 2 sheets of writing paper and 1 bowl of water on hand. An educator and linguist by training, a writer and poet by nature, Marjorie Frank has authored and designed a generation of instructional materials in all subject areas, including past HMH Science programs. Her other credits include authoring science issues of an award-winning children’s magazine, writing game-based digital assessments, developing blended learning materials for young children, and serving as instructional designer and co-author of pioneering school-to-work software. In addition, she has served on the adjunct faculty of Hunter, Manhattan, and Brooklyn Colleges, teaching courses in science methods, literacy, and writing. For HMH Science Dimensions, she has guided the development of our K–2 strands and our approach to making connections between NGSS and Common Core ELA/literacy standards. As science teachers, we have the opportunity and responsibility to build on the foundation of ELA literacy, mathematical numeracy, and civic/social studies literacy to prepare our students for the “next generation.” This webinar will engage participants with discrepant event activities, cartoons, and quotes that explore the synergistic integration of the “seemingly separate” standards. The unique challenges of reading science will be explained by contrasting the tasks of everyday versus science textbook reading. Participants will elaborate and evaluate the efficacy of the webinar by applying and testing the lessons learned with their students. Thomas O'Brien, a professor at Binghamton University (SUNY), is a distinguished leader in science education. During the 1980s, he was a member of the writing team for the innovative Chemistry in the Community (ChemCom) program produced by the American Chemical Society. He has also authored a three-book series with the NSTA Press, Brain-Powered Science: Teaching and Learning with Discrepant Events, and served as an author/editor for Science for the Next Generation, another NSTA Press book. His research interests include constructivist approaches to science teaching, professional development, and leadership. For HMH Science Dimensions, he has helped guide the planning and development of the high school chemistry content. What Does Integrating Science in the NGSS Look Like? NGSS demands a shift in how we teach. We are challenged to integrate engineering into the science classroom to help our students see the interconnectedness of the science disciplines themselves, and to allow them to be the scientists and engineers. While we want this to be true of our own classrooms, we need examples of what this actually looks like. This webinar will explore practical ways of integrating engineering and science; connecting Earth and space science topics into biology, chemistry, and physics; and demonstrating how we can shift our instruction so that our students are the true scientist and engineers. Jeffrey Rylander is a veteran physics teacher and the Instructional Supervisor of the Science Department at Glenbrook South High School. Rylander has been actively involved with numerous STEM-related initiatives both in his role as Physics Teacher and Instructional Supervisor. Such initiatives include the development of the STEM Learning Community at Glenbrook South High School, establishing Summer Science and Engineering Camps, and consulting with districts in their implementation of NGSS. Rylander has given presentations on science instruction at several national conferences and has published numerous articles on physics education. 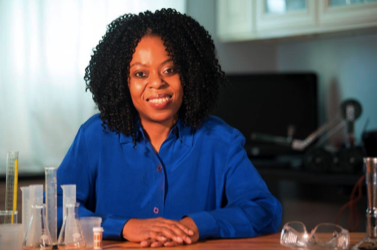 As one of the writers of the NGSS Appendix D and Case Studies, Bernadine Okoro will illustrate how teachers can provide a practical and tangible route toward effective science instruction with diverse student groups. Discussion centers on understanding the utility of the case study, as well as Social Emotional Learning, thinking routines, and brain-based learning in teaching diverse student groups about science. Bernadine Okoro is a 2010–2011 Albert Einstein Distinguished Educator Fellow. She is currently serving her fellowship with the National Science Foundation in the Directorate of Engineering, in the Division of Industrial Innovation and Partnerships. Prior to her fellowship, she taught chemistry and earth science for five years in the District of Columbia Public Schools at Woodrow Wilson Senior High School. She is a trained chemical engineer and has worked in industry as an engineer for nine years for various companies including Bethlehem Steel, Arco Chemical, Perfecseal, U.S. Patent & Trademark Office, and BioCore Medical Technologies. She earned her B.S. in chemical engineering at Drexel University, and she earned her Master of arts in producing film & video and Masters in Teaching at American University. Follow #HMHScience for up-to-date information on the webinar series! *Next Generation Science Standards and logo are registered trademarks of Achieve. Neither Achieve nor the lead states and partners that developed the Next Generation Science Standards were involved in the production of this product, and they do not endorse it.